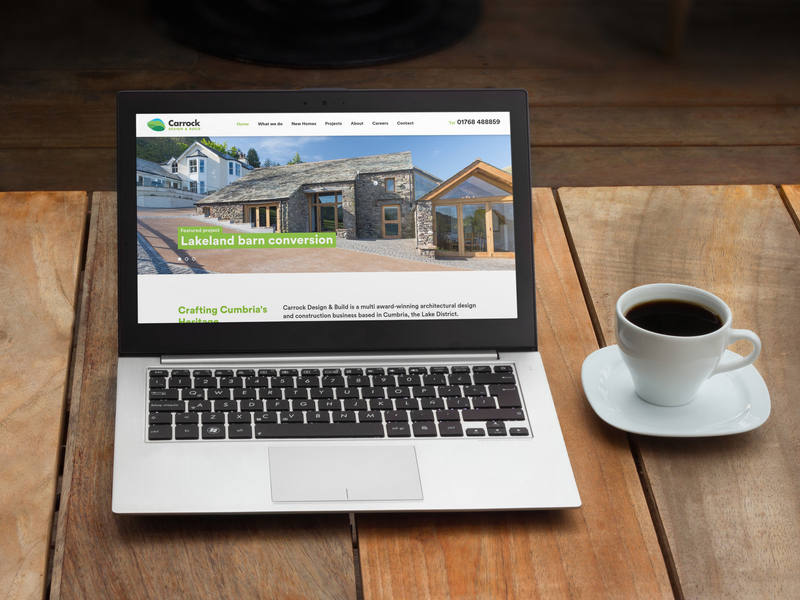 Last week we launched a new website for Carrock Design & Build, a multi award-winning architectural and construction business, specialising in the sympathetic conversion of old Lakeland buildings. We had previously worked with Carrock on a website for the new division of the company, Carrock Homes. Carrock Homes focuses on entirely new developments on exclusive plots of land. The award-winning Carrock Design & Build is the original business and they concentrate on restorations and renovations. They use local materials and skilled tradesmen, coupled with traditional techniques to create beautiful new homes from the bare bones of some of the region’s oldest buildings. We wanted to give Carrock a site which would provide the user with all of the information they might need. We were however still keen to leave plenty of space for the fantastic photography they have of the finished projects. Carrock have a wealth of experience under their belts. We wanted to ensure that this work really shone through by using large, high quality imagery throughout. This allows the craftsmanship to really speak for itself. You can now visit the new Carrock website and see the lovely images for yourself. If you’d like to see how we can help make sure your business is shown in the best light online then please get in touch.